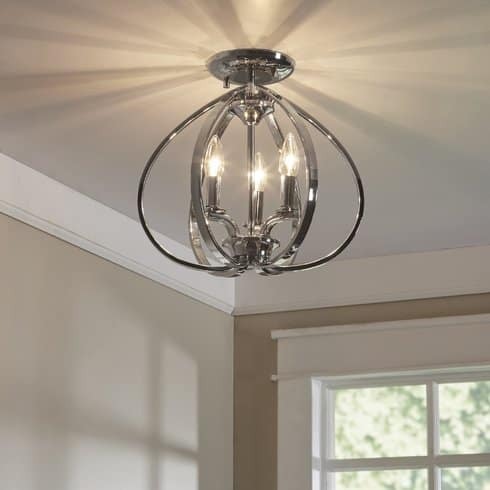 Changing out the light fixture of a room can really make a huge difference in the finished look of the space. From top to bottom, if you’re in the middle of a transformation, make sure you top everything off nicely, so to speak. 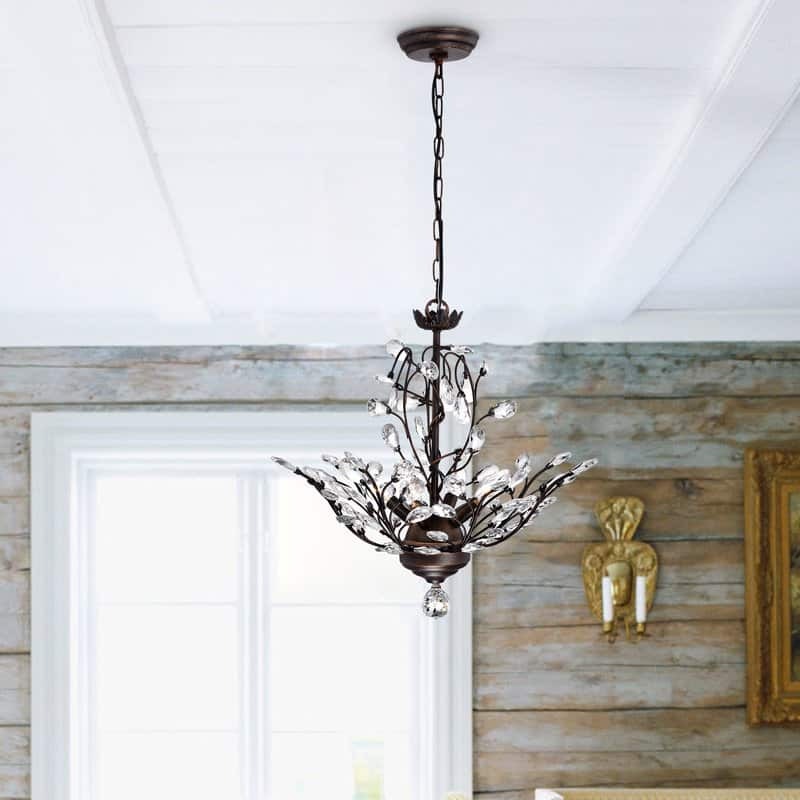 These 15 bedroom chandeliers will round out your personal redo with just the right amount of fashion-forward appeal; from glam to rustic infusion! 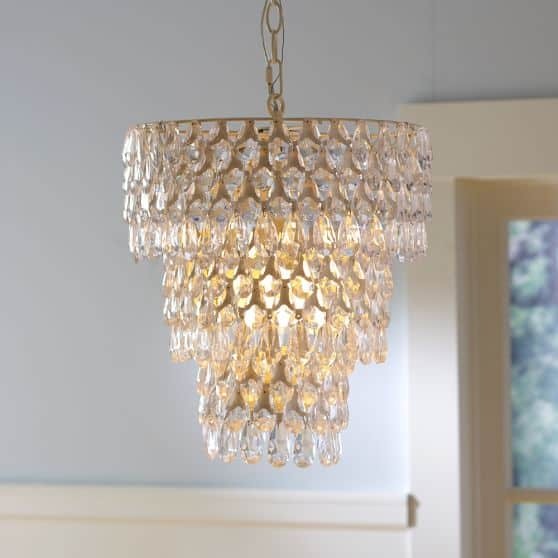 Birch Lane had us swooning for this natural-inspired chandelier design. Top off your bedroom with this beautiful, 4-light LED candle style piece. It has a stunning mix of both glam and farmhouse quality that we love and gives a feminine life to the space as well. 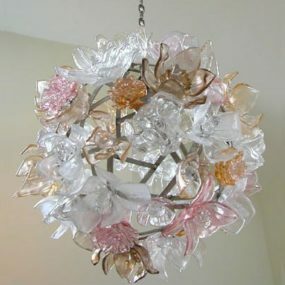 This flush, mounted chandelier is a beauty as well. It’s perfect for feminine-inspired bedrooms or even those with a more youthful glow. Check out the details and snag it by visiting Wayfair. 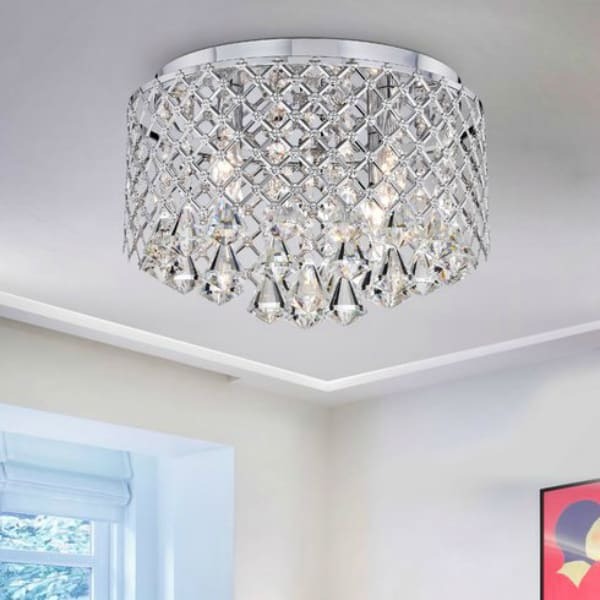 Overstock has a great selection of chandeliers to choose from and this one has a more traditional style that’s still fit for the bedroom. 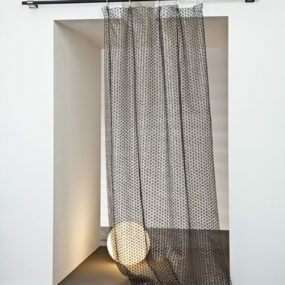 It’s a smaller design so it would be perfect for smaller bedrooms or even inside apartments. If you’re looking to add elegance or a tad bit of Victorian appeal, this is the winner. Maybe you’re in the market for a more modern design. 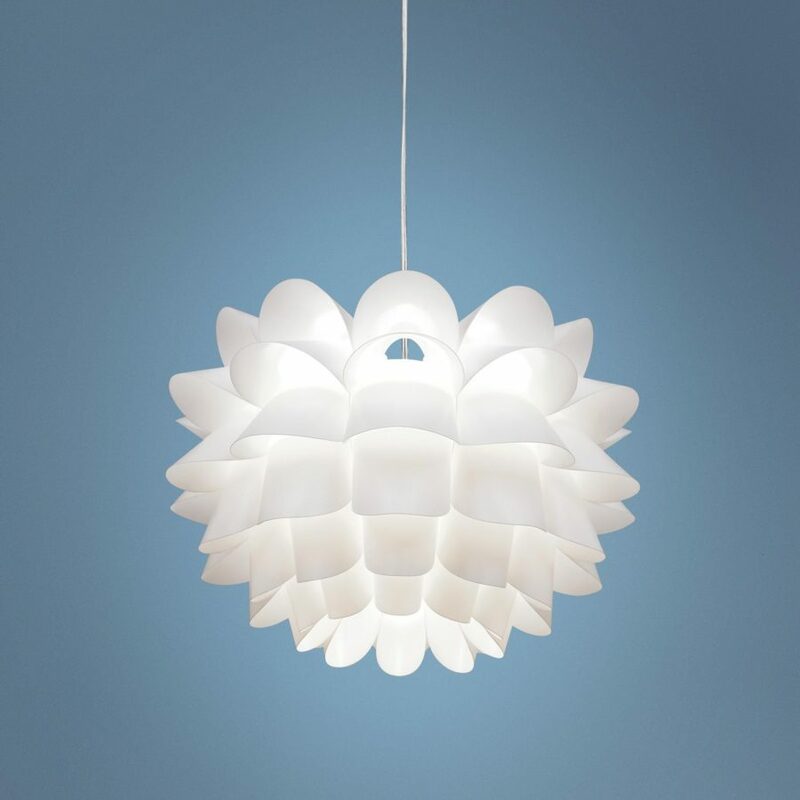 If so, this white piece from Lamps Plus will certainly catch your eye. 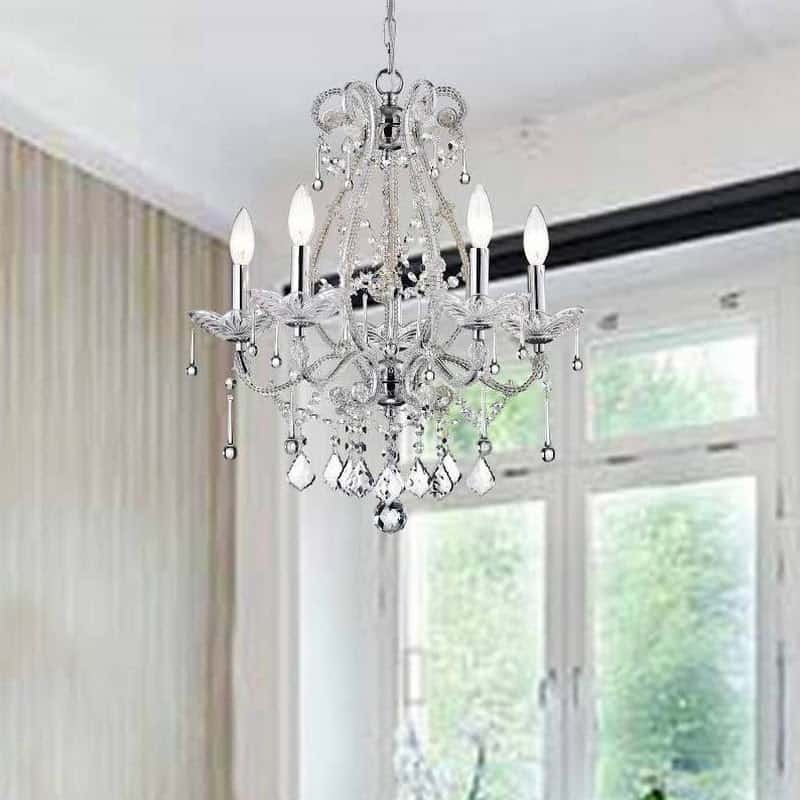 Top off your straight-edged, posh bedroom with this Euro White Flower chandelier. 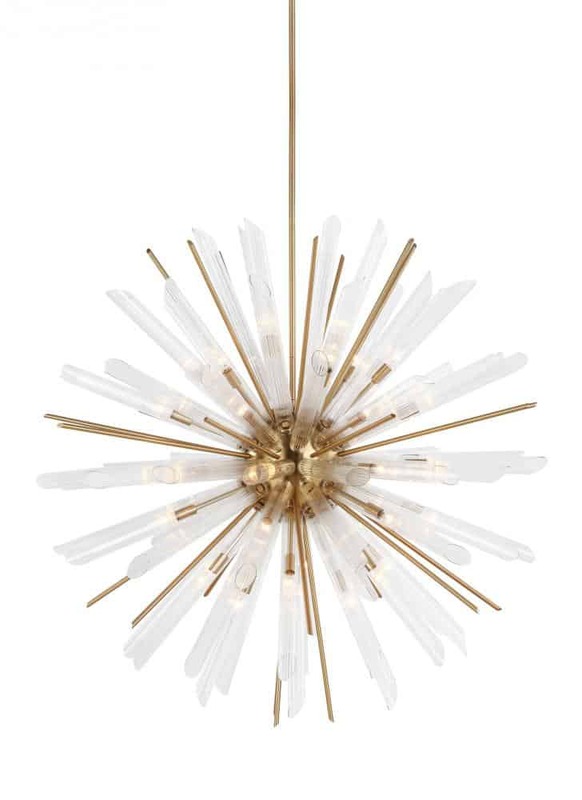 Target has some mini chandeliers that can help out in the bedroom as well. They come in a variety of colors, although, we’re really digging this black piece offering up the right amount of edge. Check out the details after the jump. For those that love to infuse their home with some bohemian vibes, this beaded design from Pottery Barn could be exactly what you need to complete your bedroom revamp. 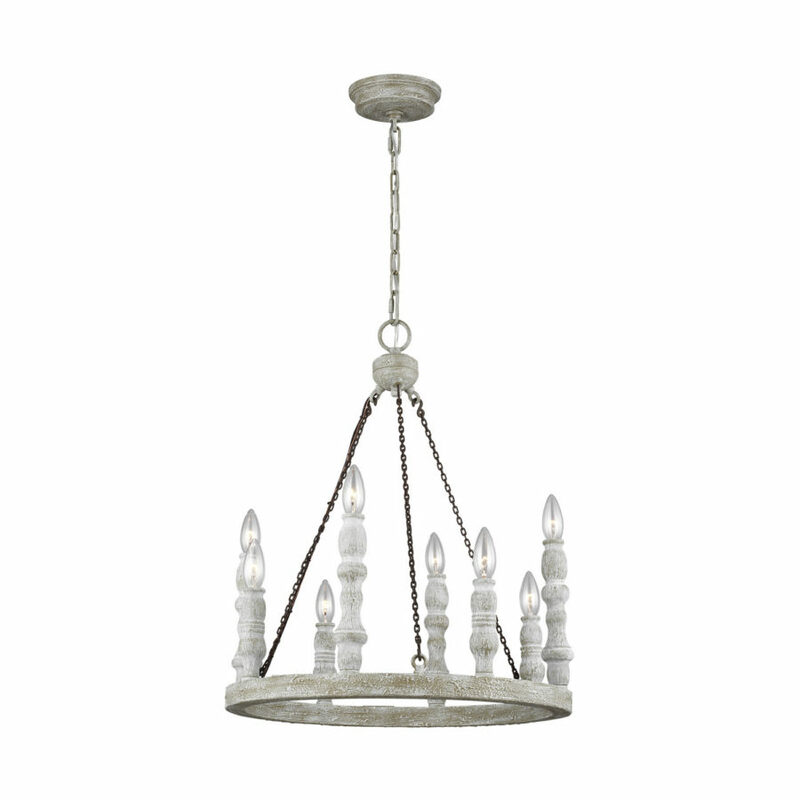 The “Francesca” chandelier includes whitewashed beads and a hand-finished metal frame. 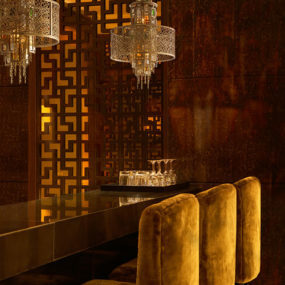 Luxury is this design’s middle name. 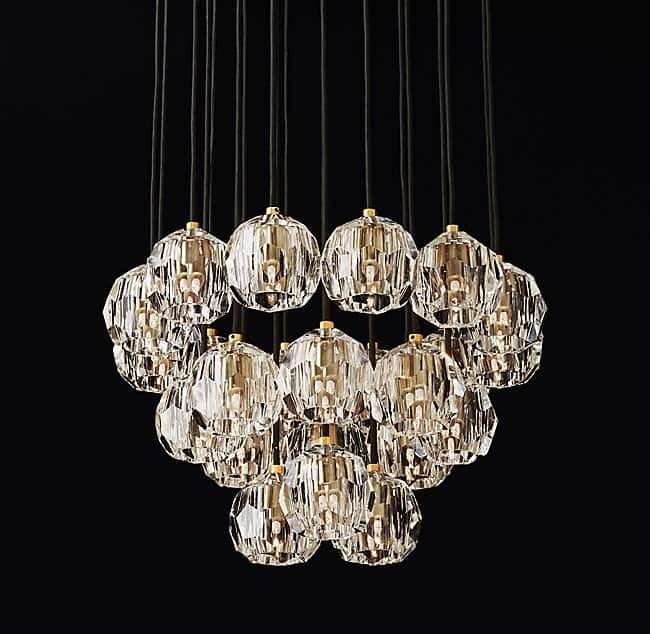 The Boule De Cristal Round Cluster from RH functions as both light fixture and work of art. It’s inspired by 1960’s style but still creates a modern center for bedrooms. Lightstyle has a lot of great options to sift through, but this particular piece infuses two of our favorite interior design genres; glam and farmhouse-friendly. And it’s done in such a unique, offbeat way. 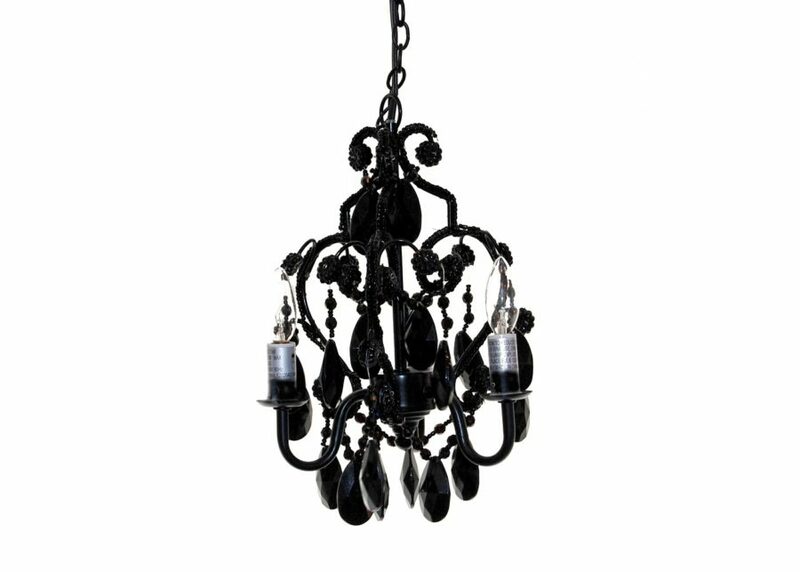 The Savoy House Sussex chandelier features metal drape leaves and teardrop crystals. There’s something rather mysterious behind this fixture from Nancy B’s House of Lights. 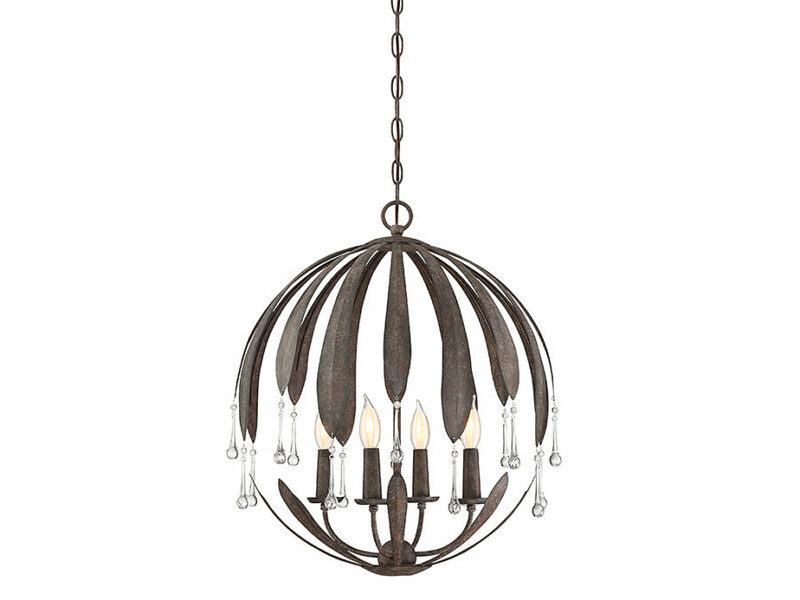 This eight-light chandelier is offset by distressed white fencing and weathered iron chains. One of the most versatile on the list, it’s a design that will fit nicely within a variety of home styles with ease. 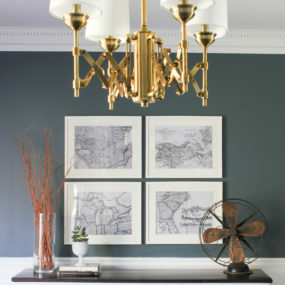 Here’s another chandelier that’s both a light fixture and a piece of art for the home to enjoy. It’ll fit beautiful among modern or contemporary homes. Check out the details and snag one for yourself by visiting The Lighting & Fan Store. 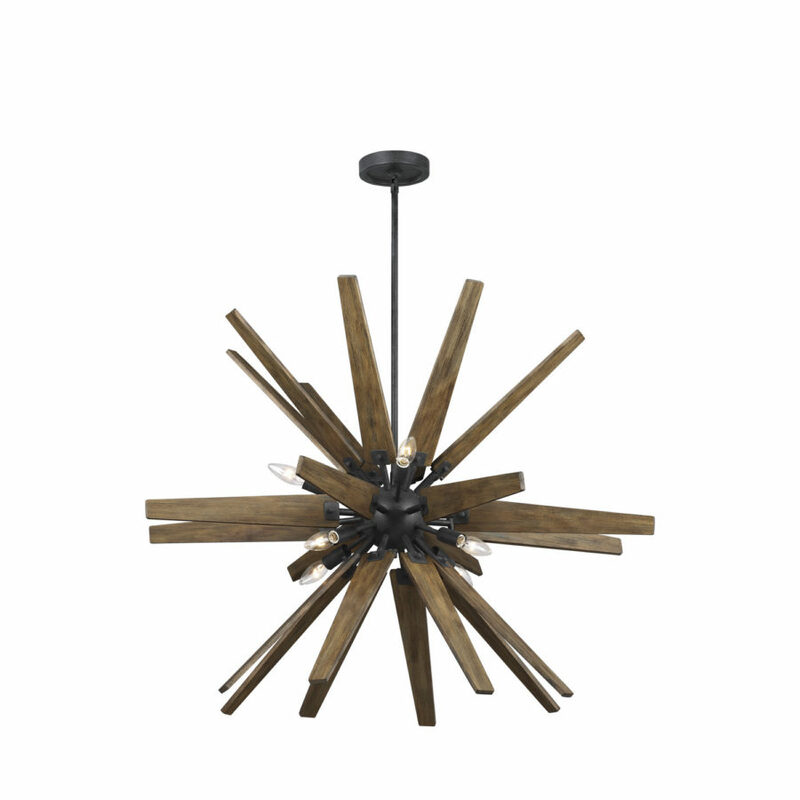 A wooden, starburst chandelier is versatile, it’s trendy, and it’s one of our most swoon-worthy features. This piece from Horton’s caught our eye because of its uniqueness. 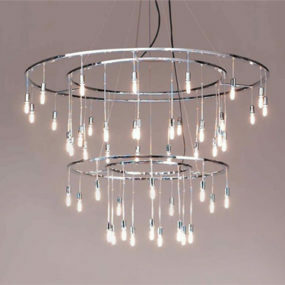 There’s also a white version of this particular fixture that really knocks our socks off. 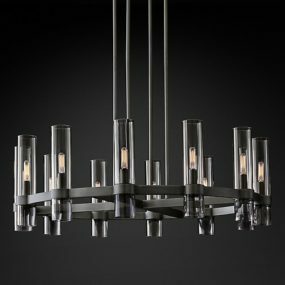 Hermitage Lighting has a glass edition of our previous feature. 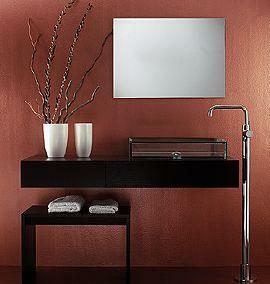 This one has a more contemporary vibe and one that fits inside more glamorous or feminine spaces. 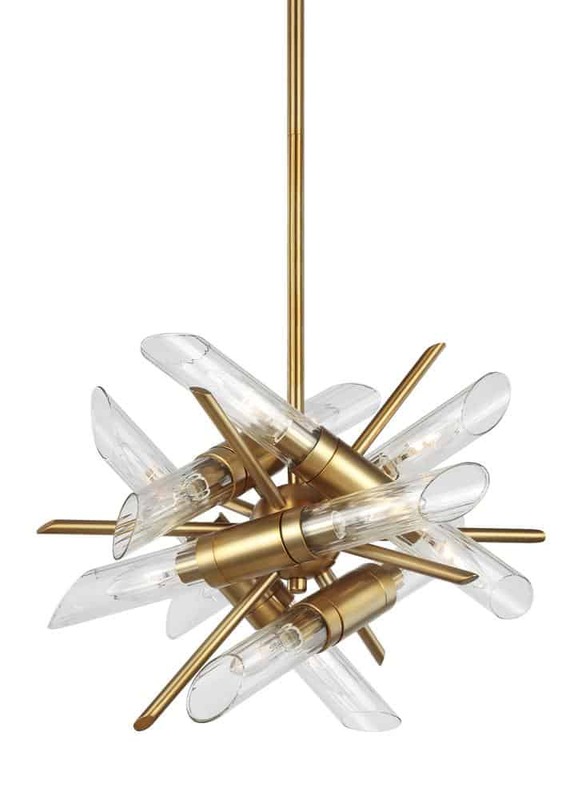 There are 41 lights in this beauty and has quite the dramatic finish. Joss & Main has some color options that you may want to peek at. 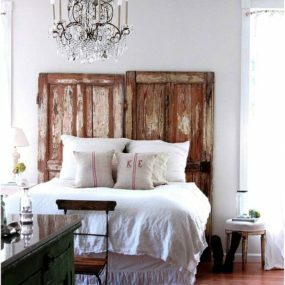 This design is perfect for our more youthful, girlishly charming of bedroom. 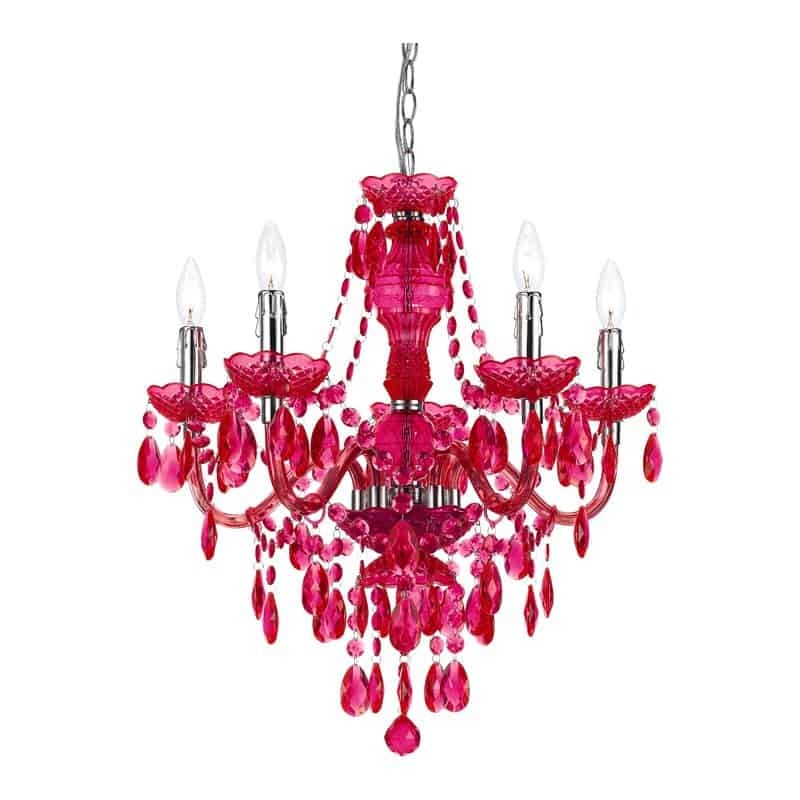 A Victorian-inspired fixture dipped in hot pink, the teens will love it. PBteen has several great options too. 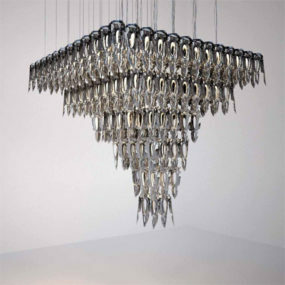 We’re really loving this stunning teardrop chandelier and its quality craftsmanship. Created with a decorative steel frame and acrylic beads, you can hardwire this one yourself without issues – it comes with the kit you need! We end with another flush mounted design that has a more traditionla flavor. Perfect for subtle, cozy bedrooms, you can find this one over at Wayfair.